Safety is hugely important to us. 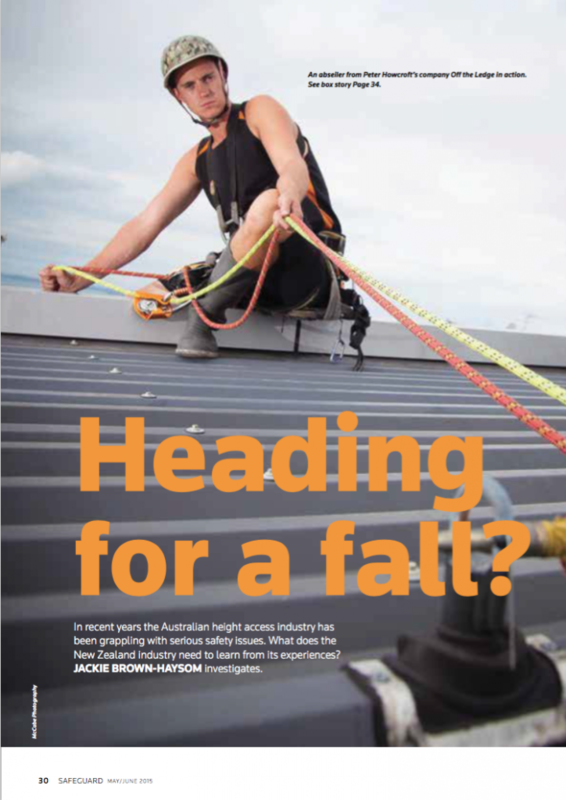 As one of the original founding members of Industry Rope Access Association of New Zealand (IRAANZ), we commit to the industry standards and regulations that are recognised as the official representative body chosen by Workplace safety NZ. Off The Ledge has been successfully audited bi-annually with ACC Workplace Health and Safety accreditation. We currently hold Secondary accreditation status. Every member of our staff undergoes a six month training programme that culminates with Level III IRAANZ Rope Access certification. The employees accrue thousands of logged hours under strict supervision. They are then required to complete an ongoing Certificate of Competence, This is recognised as New Zealand’s latest rope access initiative. Our commitment with every job is to combine the safest possible working methodology with the clearest communication to staff and clients. Before starting any job, each building is critiqued by our comprehensive preliminary check list. The team is then extensively briefed and when we are on site we have constant workplace monitoring. Our senior staff and management then control the job through to completion.